20 Jan 2017 --- Unilever has signed a three-year Memorandum of Understanding (MoU) with provincial and central governments in Indonesia to drive the sustainable palm oil sector and support a jurisdictional approach to sourcing at village level. The agreement involves the provincial government of Central Kalimantan, the district government of Kotawaringin Barat and Yayasan Penelitian Inovasi Bumi (INOBU). It aims to create “sustainable villages” in Indonesia’s palm oil industry and put an end to deforestation in the tropics. Unilever’s MoU follows an earlier announcement at the COP 21 climate negotiations in Paris last year, when the company said it would take a jurisdictional approach to commodity sourcing and will preferentially buy from areas that have comprehensive climate and forest policies in place. Unilever says it is working with the governments to improve yields and livelihoods of smallholder farmers, in exchange for their support in the fight against deforestation. This model is also known as ‘Produce & Protect’. 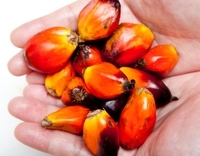 Smallholders contribute 40 percent of Indonesia’s palm oil production, with average productivity 32 percent lower than that of private plantation companies, which means there are big opportunities for improvement, according to Unilever. However, increasing productivity of smallholders is often constrained by issues such as lack of farmer groups and training, and limited access to markets and finances. The program will initially impact around 600 independent smallholders on approximately 1,400 hectares of land and has the potential to be rolled out to other areas in the district. The partnership is the first public-private agreement between sub-national governments and an international buyer and aims to certify all palm oil smallholders in Pangkalan Tiga village according to Roundtable on Sustainable Palm Oil (RSPO) and the Indonesian Sustainable Palm Oil (ISPO) principles and criteria. Other objectives include creating a map of palm oil smallholders in at least three villages in Kotawaringin Barat district, helping farmers obtain land certificates, business licenses and environmental permits. It will also conduct baseline assessments of palm oil farmer organizations in Umpang and Lada Mandala Jaya villages. Unilever claims this initiative is a “step towards systemic change” and is different to other smallholder certification projects in Indonesia because it taps into government resources and power to support smallholder development. Implementation will be carried out together with the village and district governments.